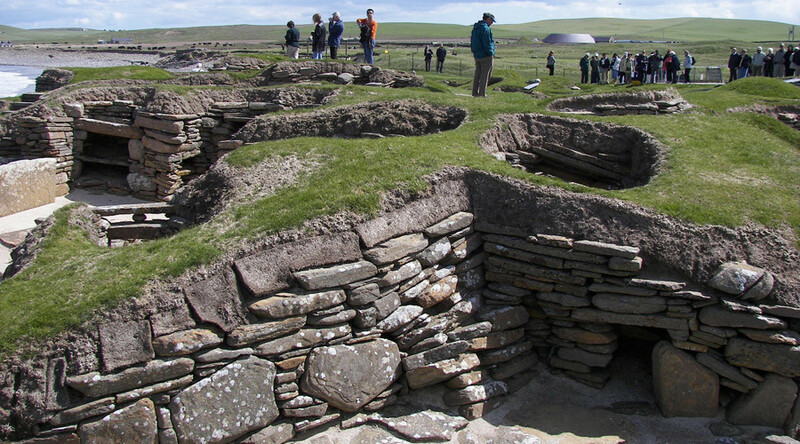 Evidence of rickets, a bone disease frequently associated with urban Victorian squalor, has been found in the body of a woman buried in the Hebrides 5,000 years ago, according to a new study. Rickets is often caused by a lack of vitamin D from sunlight and certain foods, resulting in the calcifying and bowing of bones. Today it is among the most common childhood illnesses afflicting the developing world. “It’s also possible she wore a costume that covered her body, and this could have been because she held a religious role. But we will probably never know,” Armit said. The body, which belonged to a woman aged 25-30, was uncovered in 1912 on a Scottish island. Fresh research was unveiled at the British Science Festival on Wednesday. Report co-author Fiona Sharp noticed distinctive bone deformities while examining the body. Given the woman lived by the sea, a source of vitamin D rich seafood, scientists found signs of the affliction surprising. “They would have been a farming community, growing mainly barley and raising cattle and sheep,” Armit said. “We don’t know why fishing stopped during the Neolithic period, but the people put their efforts into farming, which was obviously very labor-intensive. Full skeletons from the Neolithic era are very rare, with around ten known specimens in existence.